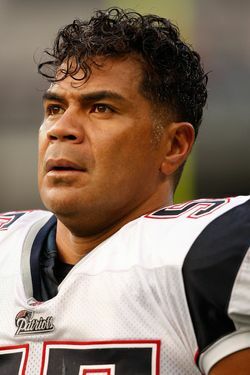 Former NFL linebacker Junior Seau has been found dead in his home in Oceanside, California. According to reports, Seau died of an apparent self-inflicted gunshot wound to the chest. TMZ reports that it's been told Seau sent "Love you" texts to his ex-wife and three children yesterday, and that they responded but didn't suspect anything was wrong. Oceanside mayor Jim Wood told the North County Times that he learned of Seau's death from police chief Frank McCoy. "He was a local hero," said Wood. "He certainly gave back to the community and to the youth through his Junior Seau Foundation. Our thoughts and prayers go out to his family and friends." Seau was a twelve-time Pro Bowl selection — he was selected every year from 1991 through 2002 — and was first-team All Pro six times. After being drafted fifth overall out of USC in 1990, he played twenty seasons in the NFL, including thirteen for the San Diego Chargers. He'd play three seasons with Miami before announcing his retirement in 2006, but he'd return to play in four more seasons with the New England Patriots before retiring for good after the 2009 season.